Our recycled magazine beads are separated with silver-toned Giriama accent rings and finished with a rhodium-plated chain. Adjustable from 18 to 20 inches. Handmade in Kenya. 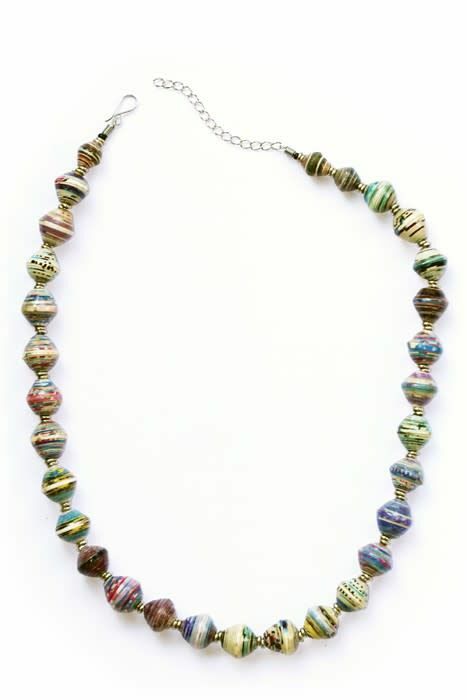 Paper beads are coated with a clear, non-toxic lacquer making them water-resistant and durable.